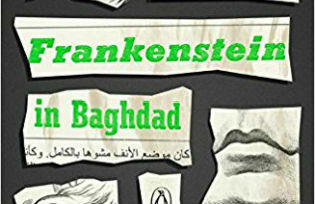 The prize-winning novel "Frankenstein in Baghdad" by Iraqi novelist Ahmed Saadawi has finally been translated into English. His reworking of Mary Shelley's iconic horror story is set in the Iraqi capital torn apart by sectarian violence. 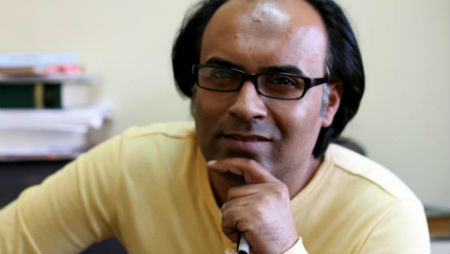 Ahmed Saadawi has captured the imagination of Middle Eastern and Western readers with his reworking of Mary Shelley’s Frankenstein. His book won the International Prize for Arabic Fiction in 2014 and has now been translated by Jonathan Wright. Frankenstein in Baghdad portrays the Iraqi capital in a state of disarray, a city occupied by US troops and with local characters trying to make ends meet in a society that has descended into the surreal. This is Ahmed Saadawi’s third novel – he is also the author of a book of poems – whose protagonist is Hadi, who searches the city for junk to resell. He does however have an ominous sideline interest which is collecting body parts blasted asunder by the frequent bombings in the city. His declared intention is to create a complete body so that it can be properly buried. He manages to create his “monster” but it lacks the spark of human life until the soul of another bombing victim finds refuge in the monstrous body in an attempt to make sure that he too is not left wandering the ether. The monster that the disreputable Hadi has dubbed “whatsitsname” takes to the streets and goes on a killing spree, initially targetting the guilty and then moving on to anyone that gets in its way (nobody is innocent) as it needs human flesh to survive. The novel uses black humour, fantasy and absurdism to paint a picture of a Baghdad in all its contemporary horror against a backdrop of suicide bombings and sectarian violence. The story is pieced together much like the monster through the lives and vision of a grieving mother waiting for her son to come back from the front line, an estate agent and a journalist. From every perspective we see a city suffering from trauma, so much so that it has learned to accomodate unthinkable horrors with an unearthly ease. The monster causes chaos in the city and even accumulates a group of followers and just as many enemies who see him as a terrorist or foreign agent. The monster appears to be indestructible but is slowly decomposing. For some, he becomes a symbol of the Iraqi state. The story is cleverly told and is seamlessly translated. The matter-of-fact horror is suited to our contemporary world dragging us in to its absurdist fantasy that strangely does not seem so improbable. Highly recommended.